Dr Gregory Fontana is the National Medical Director for Cardiovascular Research, at the Hospital Corporation of America, Nashville, Tennessee. He is also the Director and Chairman of Cardiothoracic Surgery, CardioVascular Institute, Los Robles Hospital and Medical Centre, Thousand Oaks, California and Director of Cardiovascular Research at the Sarah Cannon Research Institute, Nashville, Tennessee. 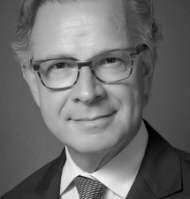 Dr Fontana, was President of the International Society for Minimally Invasive Cardiothoracic Surgery (ISMICS) from 2015-2016 and is certified in Thoracic and Cardiac Surgery by the American Board of Thoracic Surgery. Widely published, Dr Fontana is a Fellow of the American College of Surgeons (ACS), American College of Cardiology (ACC), American Heart Association (AHA), and American Medical Association (AMA). He also sits on the scientific advisory board of the International Academy of Cardiology. Dr. Fontana has been recognized as one of ‘America’s Top Doctors’ each year from 2002-2014.